Sparking minds to achieve Vision2030. The session produced some insightful conversations. One that struck me was around the importance of relationships in the IkamvaYouth model. It is known that the stronger the relationship a learner has with a tutor the more likely they are to be committed and therefore to perform better academically. One of the strategic plans to scale is to leverage technology for an online tutoring model. The challenge of maintaining the necessary supportive relationships through this online model is a very real one. The importance of love, care and belonging is an ingredient of the model that cannot be overlooked. Therefore an online tutoring solution or the use of mobile technology to reach more remote areas must not lose sight of the social relationships that hold a branch together. Something to think about as we design the online tutoring pilot! Another interesting discussion was around the question, “What are we doing that is revolutionary?” A question that is difficult to ask yourself, but when asked by others, it generated some interesting ideas about systemic change. It was suggested that IkamvaYouth and other innovative organisations need to develop their ability to export the progressive principles and practices that produce impact, rather than replicate a rigid model in its entirety. The flexibility of the non-profit sector to act in, and around existing structures and systems is essential to find large-scale and sustainable solutions for South Africa. IkamvaYouth’s strategy for growth speaks to this necessity, and projects have been designed/being designed in such a way that requires collaboration within and across sectors. 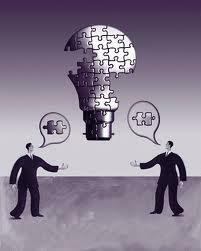 Working together is the only way that Vision 2030 is possible. Thank you to those who attended and helped us to think through some complex problems as a larger and more diverse group. 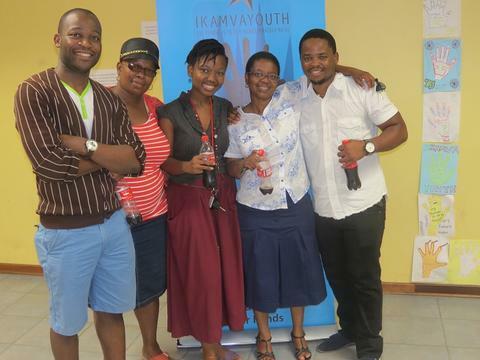 For more information on IkamvaYouth’s plans for growth or anything raised in this blog contact zoe@ikamvayouth.org. To find out more about Scaleshift email warren.nilsson@gsb.uct.ac.za. 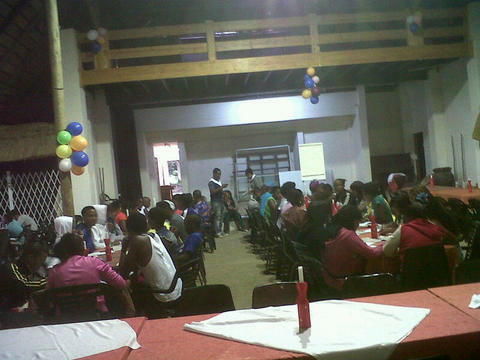 Saturday the 25th of January 2014 saw the Umlazi branch host their annual Open day at the Umlazi AA library. The event started with a wonderful song from one of the learners at the branch. S’bonelo (Branch Coordinators) and N’thabiseng (Branch Assistant) proceeded to welcome the people and presented a PowerPoint based presentation. The presentation gave an overview of IkamvaYouth, the work IkamvaYouth does and the geographical reach of the organisation. It also featured highlights of activities in the Umlazi branch from 2013. The presentation included the matric pass rate and the requirements for learners who join IkamvaYouth to keep their place in the programmes offered. The matric class of 2013 was celebrated with a visual tribute compiled by N’thabiseng. The video was followed by a performance from one of the learners who recited a poem about IkamvaYouth and the impact it has on learners. A testimonial from an ex-matric learner gave prospective learners a insight into the kind of impact being an Ikamvanite can have on one’s life. This was followed by a brief talk from a current volunteer tutor who spoke of his experience and what he feels is needed to be a successful Ikamvanite. Ms Phumelele Kunene, from MUT gave a brief talk on the relationship IkamvaYouth Umlazi has with Mangosuthu University of Technology. She also motivated the learners in terms of their future choices in life. 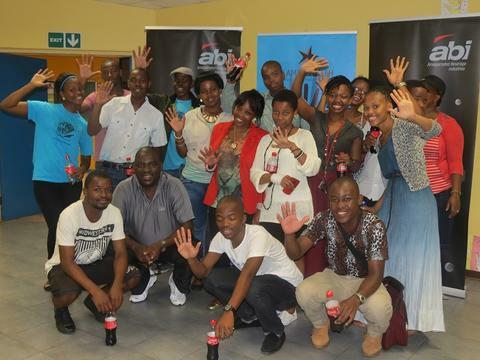 We were blessed by the presence of ABI Soul Ambassadors (pictured below) who were accompanied by Samukelo Nkosi the Corporate Social Investment Coordinator-KZN for ABI. Before everyone was served refreshments, courtesy of ABI, a surprise performance by Msizi (a local poet) brought the day to a close on a very high note. IkamvaYouth is proud of the class of 2013, who excelled in their final exams. 89% of the 154 learners passed, with 94% eligible for tertiary education (64% achieved bachelor passes and 30% diploma passes). An amazing 70 distinctions were attained, in subjects ranging from Maths, Physics and Life Sciences to Languages. 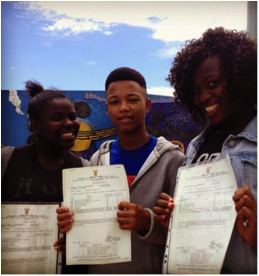 The Ivory Park branch’s first ever matric class scored a magnificent 100% pass rate, while Nyanga reached a 93% pass rate. IkamvaYouth sends out a huge shout out of THANKS and congratulations to all the volunteer tutors, mentors, staff and supporters for your huge contribution towards the success of the 2013 matric class. Many learners shone with bright results, setting them on the path to shining futures. 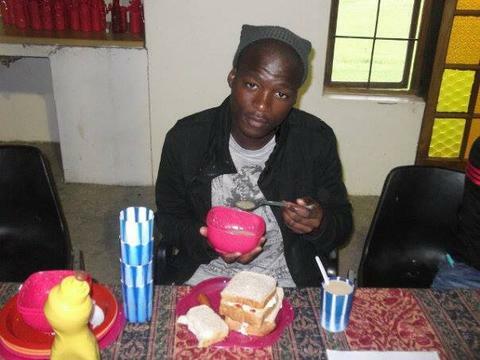 Abongile Jojozi, from the Makhaza branch, averaged 81% and got 4 distinctions: 90% for maths, 83% for economics, 84% for life orientation and 81% for Xhosa. Abongile was at IY every weekday afternoon, and on weekends. “I stopped playing soccer on weekends. It was hard to give up my weekends, but I knew if I wanted to succeed and improve academically, I needed to be committed,” he said. Sipho Nqgayimbana, a Makhazanite, and Happy Vanqile from Ivory Park received 3 distinctions and will join Abongile at UCT. IYKZN Chesterville’s Slindile Zwane also achieved 4 distinctions and will be studying law, while Sanele Sishange, achieved 2 distinctions. Go ikamvanites! IkamvaYouth would like to thank in particular the donors who invested in the class of 2013 throughout their FET careers: ABI, Capitec Bank, African Bank, EMpower, The Anglo American Chairman’s Fund, The City of Cape Town, The Answer Series, the Raimondo Trust, DGMT, EwB, Tzu Chi, Ikineo, the Learning Trust, the Potter Foundation, DUT, TSiBA, UWC, The Sudborough Foundation, Ikineo, AME Africa, Rotary, Pick ‘n Pay and Zonke Monitoring Systems. 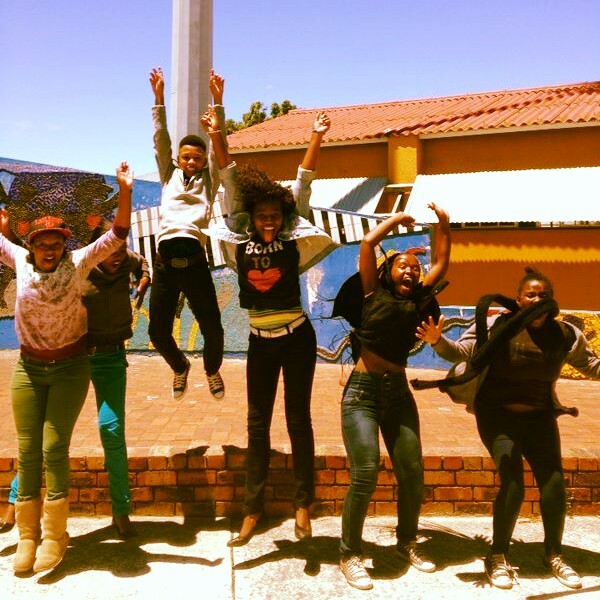 The IYKZN team decided to start the year off on a different note with the matric class of 2014. 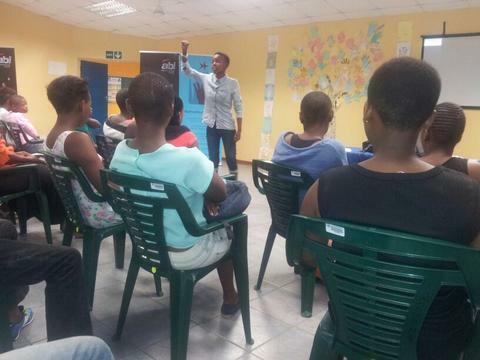 We took the learners to Highlands resort in Cato Ridge for an educational camp. The objective of the camp was to set the tone for the year and to encourage the learners to work as a team in achieving their academic goals as well as to implant in them a sense of responsibility for their studies this year and beyond. The camp entailed a lot of different exercises, ranging from academic tutoring to exercising the body, the mind and team work. There was a group of tutors to assist with the different subjects and a team of facilitators to assist with the team building activities. 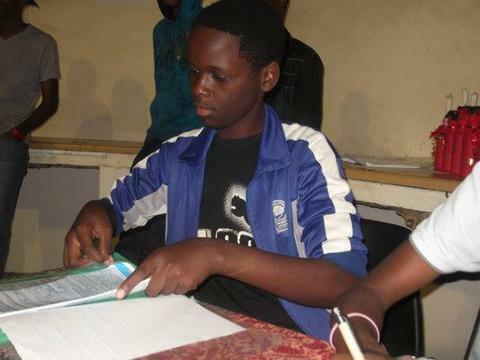 English, Maths and Maths Literacy tests were administered during the camp to gauge the level of understanding of the learners within these subjects and so that they know where to focus during this year. There were also sessions where learners were helped and taught how to fill in the Central Applications Office form, this was a practice run for when they actually apply later on in the year. This activity turned out to be a great eye-opener for the learners as the majority of them saw the requirements of the courses they wanted to do and compared it with what they are achieving and realized how much they have to improve and where they needed to put further effort. This also enlightened the learners on what type of personality they are and which are the possible career options for that personality type. The camp was structured in such a way that academic work was done early in the morning while the minds are fresh and able to absorb and be active, then the physical activities were done after lunch then the last part of the day would be for career guidance and self-study. 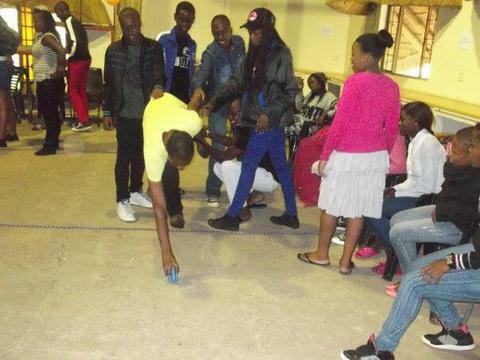 There was also some free time which learners used as they wished, some would go swimming while others played soccer and other just chatted and got to know other learners from the different branch. Overall, the camp was a success and the objectives were met. We look forward to a great and productive year with the matric class of 2014 and we wish them all the best.